The Wildpeak A/T3W is engineered for off-road adventure. But also for on-road comfort. It excels at combining an ability to take on the most rugged terrain without compromising on the comfort and quiet of pavement driving. Falken entered the off-road tire market a few years ago with an all-new level of ruggedness. The Wildpeak AT3 is an all-terrain version that was built to be more aggressive than a typical all-terrain and more versatile than a traditional mud-terrain. 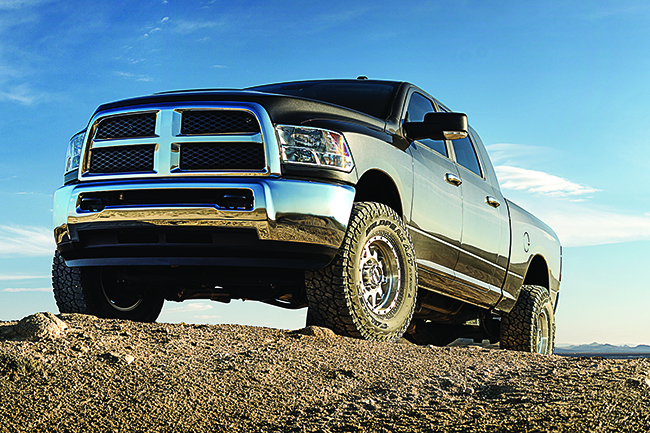 What you get is robust performance that’ll take you anywhere and in any weather. Another clear advantage is it delivers on long wear. And Falken stands behind that claim with a 55,000 mile warranty (including a 30-day guarantee). It also features the deepest tread in the all-terrain category giving it an edge over other all-terrains. It’s the technology that makes this all possible. With an optimized tread design combined with a silica tread compound, it protects against damage from heat build-up, while the sidewall and tread blocks protect against sharp rocks, debris, and other off-road hazards. 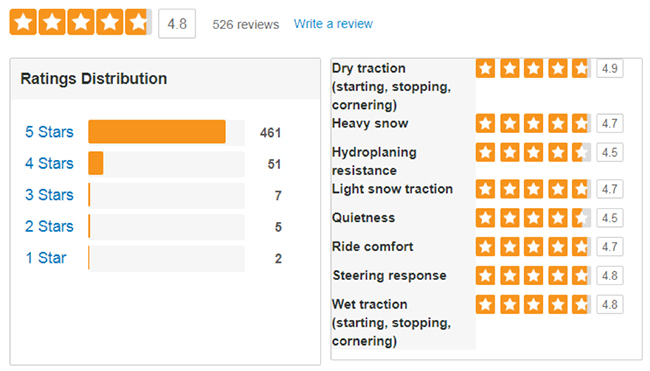 The A/T3W also has a special siping technology for exceptional traction in wet and wintry weather. In fact, it was designed to perform with confidence in severe snow conditions, and is qualified by the Rubber Manufacturers Association for the Three Peak Mountain Snow Flake (3PMSF) symbol. Now all Falken tires feature free road hazard protection that includes a free tire replacement in the event of damage due to nails, glass or potholes. Some exclusions apply; see warranty for details. The sidewall features a secondary bead apex that acts as a heat shield to protect the internal casing of the tire, so you get exceptional handling and durability with the added benefit of sidewall protection on rough roads and trails. The lower sidewall dissipates heat to protect the internal tire components. This is a critical area that keeps the tire cool and provides vehicle stability, even when towing or carrying heavy loads. The interlocking sipes help the shoulders resist wear from high torque as well as providing additional handling stability. With support ramps and step‐down features that give the tread-pattern stiffness in the contact patch, enhancing vehicle stability and handling while also preventing stones from becoming trapped in the grooves. The sidewall features offset shoulder blocks that protect the tire from sharp rocks and provide extra off‐road traction at low tire pressures or in off‐camber situations. The deep tread provides long lasting wear as well as consistent snow and hydroplane resistance throughout the life of the tire (*LT Sizes, 20/32-inch). The compound delivers superior wear life and wet performance (in non‐LT sizes). We bet the Falken Wildpeak AT3W will impress you, too. Try them out on your next adventure. Wondering what the differences are between these two common types of tires? Read on to find out. Want to make your tires last as long as possible? We've got you covered. Follow these simple steps to maximize the life of your tires. The very real difference between All-Season and All-Weather tires. Consider your climate when it comes to choosing tires.